Offshore radio expert Hans Knot has published a new book to mark Radio Caroline's fortieth birthday. During the past eight months I've been working on the book The Wet And Wild History Of Radio Caroline, which celebrated her 40th birthday in 2004. The station career went through several ups and downs and most of the time it has transmitted from international waters. During the last 14 years other forms of transmitting have been used, including land based and satellite transmitters. In December last year I made contact with several people who have been involved with the station during the past four decades. As a result of that, there are 26 chapters in the book either written by former Caroline people or persons who have followed the station since 1964. Included are chapters which have been written by The Emperor Rosko, Roger Day, Johnny Lewis, Paul Rusling, Steve Young, Herbert Visser, Leen ‘tender king’ Vingerling, Frits Koning, Ad Roberts, Bob LeRoi, John Ford, Steve Conway, Phil Mitchell and Stuart Dobson. Next to that there are chapters in which I tried to highlight the things which haven't been published before in books on the history of the station. 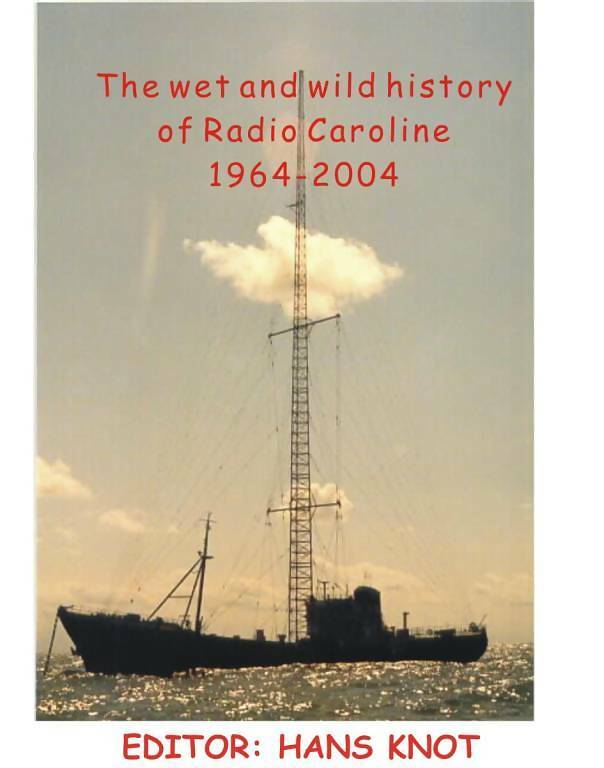 The book The Wet And Wild History Of Radio Caroline can now be ordered from the publisher, The Foundation for Media Communication at PO Box 53121 1007 RC Amsterdam. The price of the book for people living in Holland and Belgium is €25. For outside those two countries the price is £20. For ordering from the Netherlands you can order by sending the money to giro account number 4065700 on name of SMC Amsterdam. For ordering from outside Holland sent your money in cash to Foundation for Media Communication, P O Box 53121 1007 RC Amsterdam Holland. Please don't send any bank cheques as the exchange costs are too high. I hope you have as much pleasure reading the book as we have had writing it. See here for details of another of Hans's books.